Have you finally found the perfect pad but have no idea how to take the next step? Don’t worry, like many buyers out there, you’re not alone! Whether it’s a four-day cooling off period, no cooling off period, making a verbal offer or using a contract to put an offer in writing, the offer and acceptance process varies in every state and can be as confusing as, well, a contract. To help make things a little easier for you, API gets down to the nitty gritty of making an offer and finds out exactly what you need to know. All contracts in Victoria have a three-day cooling off period, regardless of whether or not you’ve already had legal advice. “Whenever the agent takes an offer to the vendor now, instead of being able to say, ‘sign this and it’s a done deal’ now they say, ‘you can’t back out but the buyer can’,” Ian James of JPP Buyer Advocates says. “Before you could take it to a solicitor and they would waive the cooling off period. There is, however, still no cooling off period three days prior to auction, at an auction and three days after auction. If you decide to get out of the deal during the cooling off period, you have to pay 0.25 per cent of the property’s purchase price. However, this is a relatively cheap “get out of jail” card compared to the cost of the property. When you make an offer on a property in Victoria, you actually write and sign a contract. You can of course make an offer as an expression of interest, but your offer will only be taken seriously if it’s on an actual contract. Agents still have the right to ‘gazump’ you even after you’ve signed a contract. Gazumping occurs when a higher offer from someone else is accepted, nullifying yours. This practice can also be referred to as ‘shopping the offer’ in instances where agents use your offer to encourage other buyers to outbid you. The agent is legally obliged to work in the best interests of the vendor. As for off-the-plan land sales, developers and buyers could previously hold money in a joint account, but deposits must now be held in a trust by a legal practitioner, conveyancer or real estate agent. This ensures that if any money is misappropriated, the buyer has access to a statutory compensation scheme and gets a refund. It’s handy for buyers in New South Wales to have some spare cash – you’ll need it to make an offer on a property you like or pay an initial deposit as an expression of interest. This won’t mean the property is yours or that it gets taken off the market. 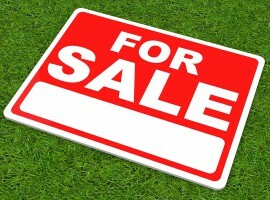 It merely proves to the seller your offer is serious. 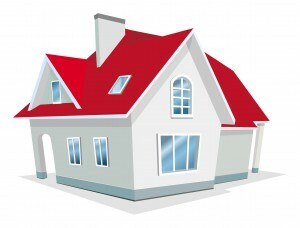 In fact, the seller or agent can take as many preliminary deposits as they like for the one property. The agent must also let you know if someone else makes an offer on the same property. If your offer is accepted, be ready to sign the sale contract and proceed with the exchange process. However, before you sign the contract, the vendor is free to negotiate with other potential purchasers, even if they’ve verbally accepted your offer. If the vendor accepts another offer and exchanges contracts with another buyer, you’ve then been gazumped. If you’re gazumped, you won’t be compensated for money you spent on inspection reports. 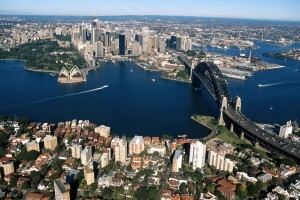 In NSW, you have a five-day cooling off period from the time contracts are exchanged. However, be aware that if you decide not to go ahead with the purchase, you’ll lose 0.25 per cent of the purchase price to the vendor. The amount forfeited will be recovered from the deposit you paid. Any deposit (normally 10 percent is required) will be paid by your solicitor or conveyancer to the real estate agent and held in the real estate agent’s trust account. 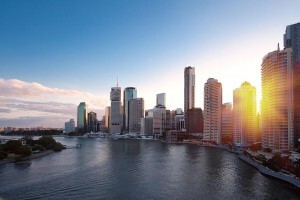 Queensland buyers have a five-business day cooling off period, which starts the day the contract is signed by both parties. If the contract is signed on the weekend, the cooling off period starts Monday morning and ends at 5pm on the fifth day. The buyer can, however, waive or shorten the cooling off period by giving the seller’s agent a form that’s been signed by a lawyer. On the other hand, if a contract is terminated within the cooling off period, the seller must refund the buyer’s deposit within 14 days, but can still deduct a termination penalty equal to 0.25 per cent of the purchase price. Buyers normally write their offer on an actual contract, which becomes binding once the vendor also signs it. Agents must submit all offers to the seller, but they also have a right to shop your offer around. The agent is obliged to let you know whether or not you’re in a ‘multiple offer’ situation, where there are at least two offers on the property. Buyers are encouraged to pay a deposit when signing the offer but if the contract falls through, the buyers is entitled to receive a full refund of their deposit. The money is normally held in a real estate agent’s trust account. Gazumping doesn’t exist in WA but there is what’s known as a ’48-hour clause’. 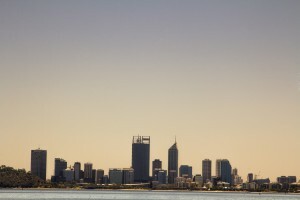 “If a second buyer comes in and they’re really keen on the property, they can invoke the 48-hour clause,” a Real Estate Institute of Western Australia (REIWA) spokesman says. For example, this means if someone has already offered $450,000 for a property and it’s under contract, which includes the 48-hour clause, you could offer $460,000. The seller could then go back to the original purchaser and tell them they have to come up with the $450,000 within 48 hours, or they’ll accept the higher offer. “This isn’t a standard part of the contract, it’s normally inserted when the buyer wants to make an offer that’s conditional upon the buyer selling their own property,” the REIWA spokesman explains. If you’re a keen bidder and love the thrill of auctions, you’re looking in the wrong place. 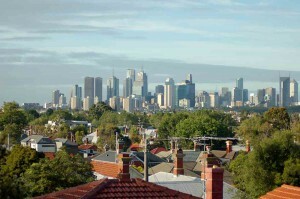 Only two to three percent of properties are sold through auction in WA. Most offers are through private treaty and the agent is required by law to present all offers, usually written on a contract, to the vendor. 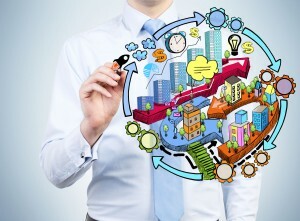 “What tends to happen is when you get to that point, you get into the bartering process. The contract goes back and forth until a final price is agreed,” the REIWA spokesman says. Be careful what you wish for though – there’s no cooling off period in WA. Although, strangely enough, the exception is retirement villages. There’s also a cooling off period if an agent gets a listing by randomly knocking on someone’s door or making a phone call. However, you can still protect yourself by making a contract subject to finance and you’ll get all of your deposit back if the sale falls through. 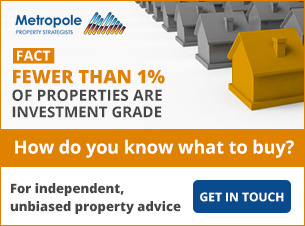 Any deposits are held by an agent, solicitor or conveyancer. If you find a property you instantly fall in love with in South Australia, don’t bother making an offer over the phone. 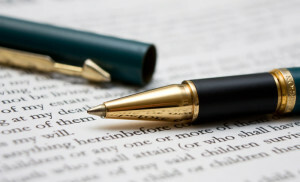 All offers must be made in writing, whether that’s through a contract or a letter of offer. The agent then has 48 hours to present this to the vendor, unless the buyer gives the agent a strict deadline of, say, 5pm that day. Agents are also allowed to receive multiple offers and shop them around, as the contract is only legally binding once the vendor signs it. The Real Estate Institute of South Australia (REISA) acknowledges it receives complaints about this, but there’s not much it can do. “The reality is, you may only get one chance to make one offer so we always recommend it’s your first and final offer,” REISA says. If your offer does go under contract but you suddenly wake up at 2am and realise you’ve made a terrible mistake, rest assured buyers have a cooling off period, albeit a very short one. It expires two business days after the buyer receives what’s known as a Form 1, required by law, which includes information about the property such as title particulars, covenants and zoning. You don’t have cooling off rights if you buy a property through auction, in the name of a company or by tender. Dummy bidding or fake bidding at an auction is against the law in SA, but the auctioneer is allowed to make up to three vendor bids if the amount is less than the reserve price. 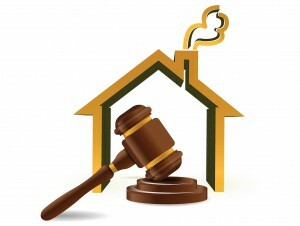 A vendor bid is a type of bid made by the auctioneer on behalf of the vendor as a tactic to keep the bids moving. It’s supposed to be clearly announced so that genuine bidders know what’s going on. A 10 per cent deposit is payable after the contract has been signed. 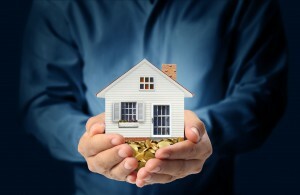 The money is usually transferred to the vendor’s agent or conveyancer, who will then place it in a trust account. If you’ve engaged a conveyancer, they can organise this for you. 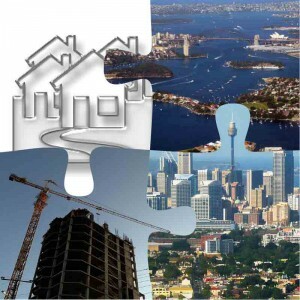 The Australian Capital Territory is the only state in Australia which has pre-preparation of contracts, according to Craig Bright of the Real Estate Institute of the Australian Capital Territory. “For a property to go on the market, the contract has to be pre-prepared,” he says. The contract must be accessible to the buyer prior to them making an offer and include a building and pest report, along with an energy rating of the property. “There’s a provision of costs in the contract for a reimbursement, which is capped,” Bright says. 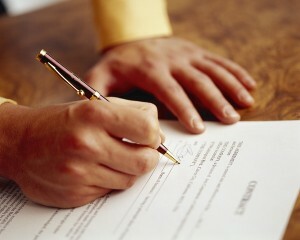 A buyer would normally seek legal advice before signing a contract. Most real estate agents allow up to 10 working days to sign a contract, which means the five-day cooling off period is rarely used. “Most people waive the cooling off period because they’re not required to exchange contracts until finance is formally approved,” Bright says. 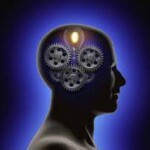 This means offers are usually made by verbal agreement. However, if someone comes along and offers a higher price for a property, the original purchaser could miss out and there’s nothing they can do. The standard 10 per cent deposit is normally held in a trust account by the vendor’s agent. 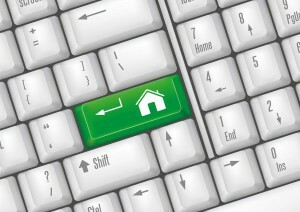 Most buyers also pay a $1,000 holding deposit, which is then refunded if the offer falls through. 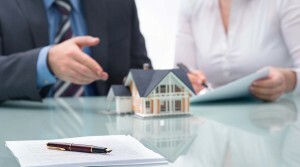 If you find a property in Tasmania, be prepared to write any offer on a formal contract. This contract is legally binding as soon as the vendor signs it. Until then, the price can be amended and the contract may go back and forth. 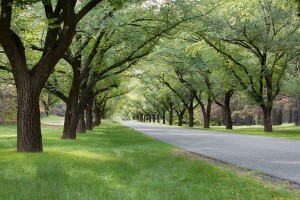 The deposit payable is usually 10 per cent, which is retained in a trust account by the real estate agent. While agents in Sydney will sometimes list homes for sale at a ridiculously low price prior to auctions to get people excited, Tassie agents are breaking the law if they do this. ‘Bait advertising’, where a property is advertised for a price lower than what a vendor would accept, isn’t allowed. New legislation is also about to be enforced in Tasmania, which will require a vendor statement to be provided and signed by the vendor. 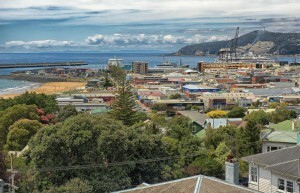 “This document will confirm details to any potential buyer, in relation to key elements of the property,” the Real Estate Institute of Tasmania (REIT) says. A cooling off period has also just been introduced, which gives buyers two business days to withdraw their offer if they get cold feet, (apart from buying at auction of cours e). However, be careful with how many offers you make on different properties – if a buyer makes multiple offers for a number of different properties on the same day, the cooling off period only applies to the first property. Good luck figuring out how to prove which offer you made first! Also, don’t bother submitting any ridiculously low offers in Tasmania. Agents aren’t legally required to present them to vendors. Like WA, Tasmania also has the 48-hour clause. This means if another buyer comes along and offers a higher price, the first buyer has 48 hours to come up with the full finance. Otherwise, the vendor can accept the higher offer. Most offers in the Northern Territory are made with a verbal offer and you only sign a contract once the offer is verbally accepted. 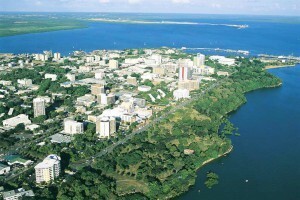 “However, it doesn’t become a contract unless the last party signs it, which is usually the vendor, and it’s dated,” the Real Estate Institute of Northern Territory’s training manager Jock McLaughlin says. Director of K.G. Young and Associates Tony Pickering adds until a contract is signed by both parties, the owner can accept any higher offers. “Normally once the contract is there, the agent works to that end,” Pickering says. 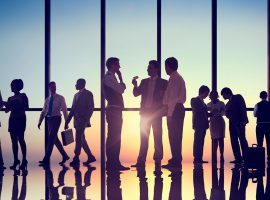 Buyers have a four-day cooling off period, which starts the business day after the contract is exchanged. So if you sign a contract on Saturday and exchange on the Monday, the cooling off period doesn’t start until the Tuesday. There’s a seven-day period allowed for a building and pest inspection and a 10-day period for finance. You can also make the contract subject to an engineer’s report, a cyclone rating and a swimming pool safety report. Any deposit would be held in a real estate agent’s trust account or alternatively, a solicitor or conveyancer’s trust account. Most people prefer a 30-day settlement, but since the global financial crisis, a 40 to 45-day settlement period is more realistic in the N.T. McLaughlin notes you only need a 10 per cent deposit for a property if you buy it at auction. “A deposit isn’t required for a legal contract,” he says. No one likes being gazumped, especially when it means missing out on a dream property you had your heart set on. In most states of Australia, it’s legal to be ‘gazumped’ – where you miss out on a deal because someone else comes along with a higher offer than the one you made – but many believe it’s morally wrong. Have your finance pre-approved and make sure you can pay the 10 per cent deposit so there’s no delay when you go to exchange contracts on a property. Get a copy of the sale contract as soon as possible and get your solicitor to check it as soon as you can. Try to exchange contracts with the vendor as soon as you can so there’s no time delay for the vendor to pull out of the deal. Insist on the agent passing your bona-fide offers to the vendor and obtain written proof of this occurring. The law requires agents do this. If you’re advised that other offers have been made, demand to see written evidence so you know whether or not the agent is bluffing. Be ready to exchange a signed copy of the contract and follow through another trusted person to ensure exchange. Buyers should put a timeframe on their offer. For example, demand an answer by 5pm the day you make an offer. If you’re making an offer with a timeframe, do it on a day where there isn’t an open inspection. 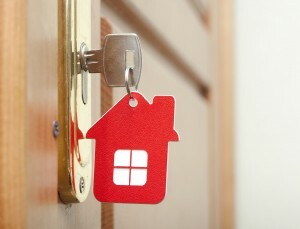 This reduces the agent’s chances of having another offer on the same day. If you really can’t bear the thought of missing out on the property you love, be ready to possibly increase your purchase offer to the vendor. Alternatively, if you really can’t stand the thought of being gazumped, consider buying property through auctions. Gazumping can’t occur at auctions, because the property is simply sold to the highest bidder on the day and there’s no cooling off period. 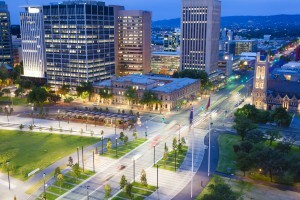 When selling property, vendor’s in Western Australia and Tasmania can use what’s known as a 48-hour clause in a contract. This can be used if the buyer and seller enter a contract, but someone then comes along and makes a higher offer. If that happens, the original buyer has 48 hours to come up with the finance for the amount they offered. Not many people are aware of it, but Perth investor Ray Bradbury is. He recalls a time when he was 48 hours away from owning what would have been his dream property in Maylands, Perth. “It already had an offer on it but it was below the asking price,” he explains. Ray put in a higher offer, using this clause, which was closer to the $450,000 asking price. That gave the original buyer 48 hours to come up with the full finance to seal the deal. If they hadn’t been able to do this, Ray would now be living in a property he believes has since doubled in value. Unfortunately for Ray, the dream ended before it started – the buyer managed to come up with the goods. “It was a big annoying but I knew the situation and understood the circumstances,” he says. “I thought it was worth a try because it was a great house in a great area, right on the river. Editors Note: We are republishing this article to help out our newer readers. The information int his article was correct at the time of writing by Lauren Cross and publication in Australian Property Investor Magazine but real estate legislation changes over time so readers should seek up to date legal advice before entering into a contract of sale. 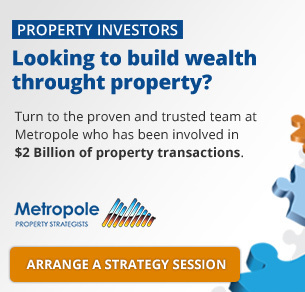 This article has been reproduced with permission of Australian Property Investor Magazine. Apart from our regular team of experts, we frequently publish commentary from guest contributors who are authorities in their field.